Saidapet occupies an important place in the political history of Tamil Nadu. DMK president M. Karunanidhi was elected from here in 1967, and in 1971 when he became the Chief Minister. This constituency was a DMK bastion till early 1980s, but AIADMK emerged victorious in 1984. The ruling power has emerged victorious in the last two elections. Rival parties DMK and AIADMK are campaigning hard to win back this constituency. 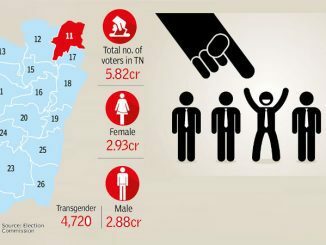 There are 2,79,207 voters in the constituency, which includes: West Saidapet, CIT Nagar, Jaffarkhanpet, Ekkaduthangal, IIT, Raj Bhavan quarters, Maduvankarai, Surya Nagar, Srinagar Colony and Kotturpuram. 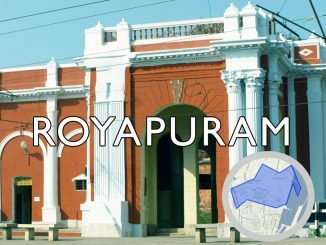 The constituency has a mix of upper class and middle class residents; a large working class population including employees of various government institutes like the IIT and Guindy Industrial Estate and people living in slums along the banks of the Adayar River. There are also pockets with a high concentration of minority communities. 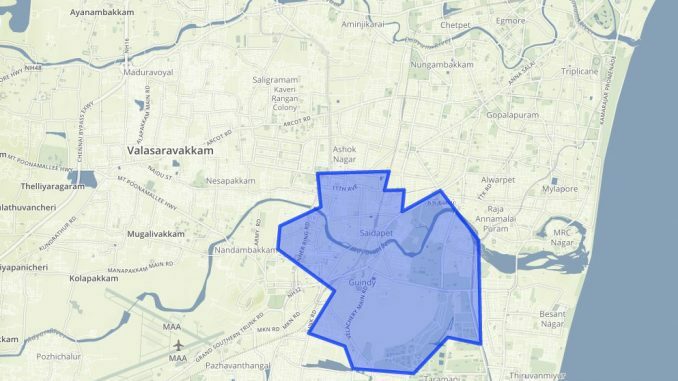 Saidapet was one of the worst affected areas during the December 2015 floods. DMK had alleged ‘mismanagement during floods’ — an important political tool here — and the AIADMK is fielding C. Ponnaian instead of the sitting MLA G. Senthamizhan to evade possible anti-incumbency factors. T.R. Sagathevan (PMK) Kandasamy R.
M. Subramanian (DMK) Gokularajan C.
V. Kalidass (BJP) Shankar E.
Thomas C. (LJP) Subramani K.
Manoharan M (NTK) Subramani M.
Murugesan S. (BSP) Soundarajan C.
Vishnuram M ( Youth and Students Party) Parthiban S.
AIADMK’s candidate C.Ponnian, is a senior leader who was a minister in the MGR cabinet. He served as MLA from his native Tiruchengode constituency in 1977, 1980, 1984 and 2001 Assemblies. He promises to solve drinking water and garbage issues in the constituency. AIADMK is wooing voters with the promise that if the party comes to power, Ponnaiyan will be a minister and they would benefit from being in a minister’s constituency. DMK candidate Ma.Subramanian is the former Mayor of Chennai Corporation. Raising the issue of floods, Subramanian promises to build flood protection walls along Adyar and set up storm water drains. DMK is hoping to gain from its alliance with Indian Union Muslim League and Manithaneya Makkal Katchi in this constituency. The PWA-DMDK alliance has allocated this constituency to CPI. The party’s district secretary Elumalai is contesting here. He has support among rickshaw unions, construction workers and government employees in the area. “The AIADMK and DMK have been winning the seat for more than 50 years, but Saidapet lacks even the basic amenities like drinking water, drainage and other civic facilities. If I am elected, I will serve people and fight for their issues,” Elumalai says. In the 2011 Assembly elections BJP candidate V. Kalidass was in the third position. He had won 3018 votes i.e. 1.96% of total votes . BJP is campaigning here with the promise of development and prosperity like other BJP-ruled States like Gujarat, Madhya Pradesh, and Rajasthan. Relocation of people living in slums along the banks of the Adayar river to the Tamil Nadu Slum Clearance Board houses is an important issue here. Over 1,000 families were living in the Surya Nagar slum; most of them are now relocated to the Tamil Nadu Slum Clearance Board (TNSCB) houses in Perumbakkam. “We have been living here for around 30 years; but we are not given pattas. Now, we are waiting for tokens to shift to the houses given by government at Perumbakkam,” says Susheela Veluchami (46) who was resting in the shade of a tree as it was too hot to stay inside her shack in the afternoon. The relocation has been halted as per the Election Commission’s model code of conduct. Thyagarajan, who does painting jobs, says he hardly gets any opportunities these days, while Madan travels to the city regularly for work and finds it hard to make both ends meet. Vasantha V (56) who works as domestic help also sounded apprehensive of job opportunities in the new place. Most residents echoed the same concerns. Last December as many as 1115 families from Atma Nagar and 1195 from Thideer Nagar were also shifted to the TNSCB houses in Okkiyam Thoraipakkam or Perumbakkam. Most of the residents who still remain at the slums are demanding construction of concrete houses and pattas, instead of being relocated to far off places. “We are not given ration cards, but we have our voter IDs,” complained Ms. Susheela. Apart from lack of access to PDS, the residents also complained that free uniforms and bags were not provided for students in the government school in the area under the schemes available to them. At the same time, traffic congestion, increased commercialization of residential areas and delayed replacement of old electricity cables are among the issues raised by the residents of up market localities in Kotturpuram. Disposal of garbage and erratic supply of water also irks residents in many areas of the constituency.